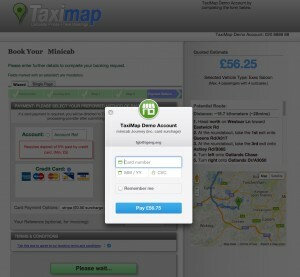 We are pleased to announce that the TaxiMap plugin now allows taxi companies to take payments via Stripe. 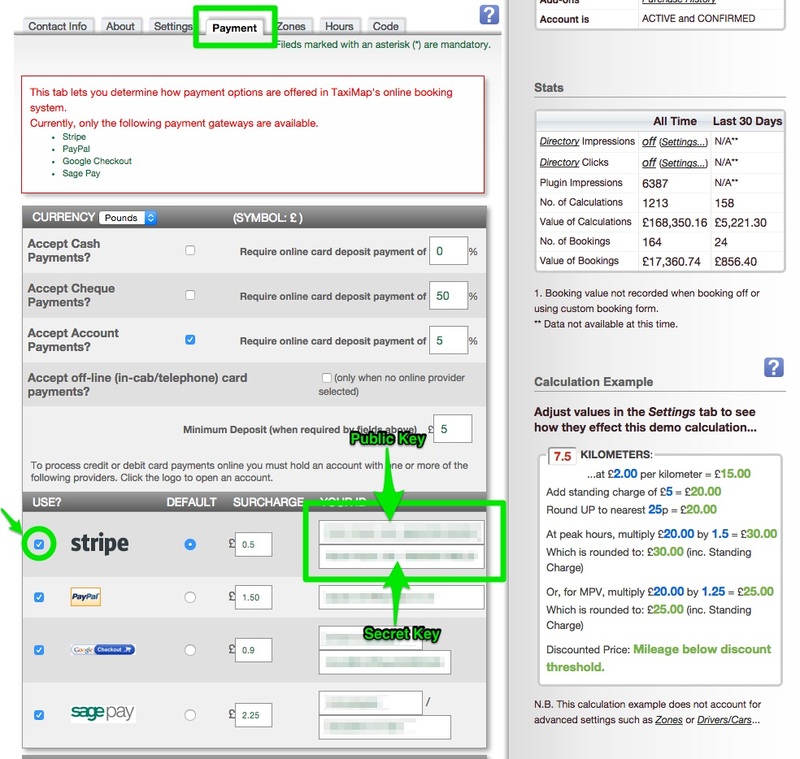 Stripe is a “beautiful, optimized, cross-device payment form, with support for single click payments.” It is easy to sign up and start processing online card payments. It even accepts BitCoin payments! Here is a brief overview of how to enable this feature in your TaxiMap account. 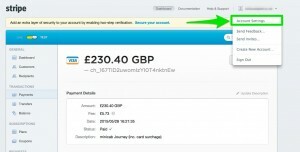 Click the ‘Payment’ tab on your Member Profile. 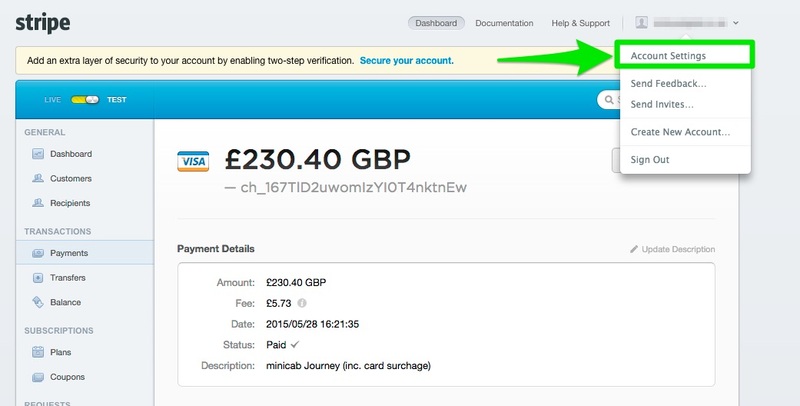 Scroll down a bit to the payment gateway section. 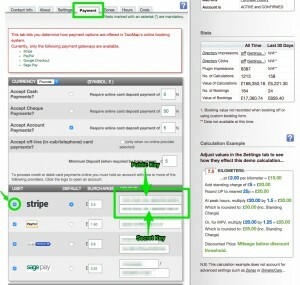 First, tick the box next to the STRIPE logo. 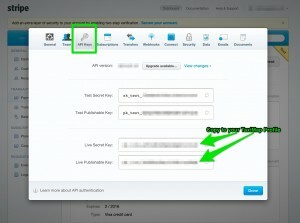 Now paste in your ‘Live Publishable Key‘ as indicated. 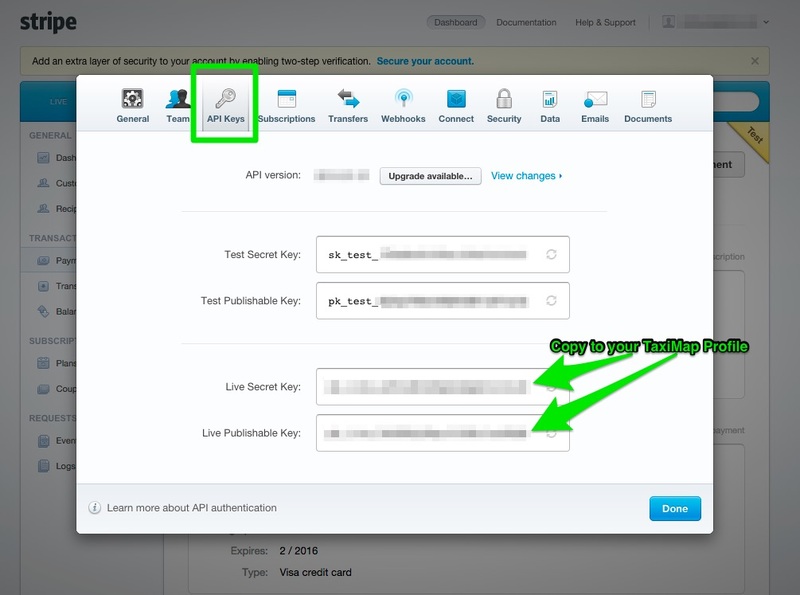 Then paste in your ‘Live Secret Key‘ as indicated. 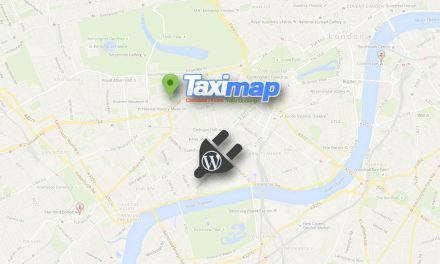 You should now be set up so customers can check out via Stripe (credit/debit card) when making a booking via the TaxiMap plugin.